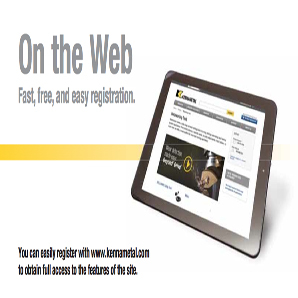 Kennametal - On The Web. Fast, free, and easy to register. F G Metcalfe and Son Ltd are the official Kennametal distributor, authorised to promote Kennametal and Stellram tooling. We know better than anyone else in the industry how to put the global power of Kennametal to work for you - in the industry, in your region, and for your business. Contact us to find out how we could help.